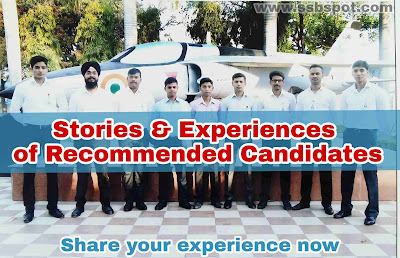 Home / how to crack ssb interview / SSB Interview / ssbinterview / What is SRT ( Situation Reaction Test) ? 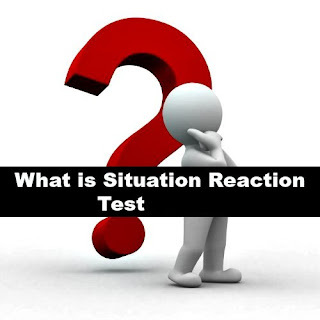 What is SRT ( Situation Reaction Test) ? SRT or Situation Reaction Test is a part of psychological testing at SSB. It consist of 60 situations which need to be answered in 30 mins. That means for each SRT you will get 30 seconds to complete it. SRT is the test of candidate’s common sense, he/she will be given some situations that occur in daily life and their answer will help the Psychologist to judge candidate’s mentality. 2. Tense used in a response is same as statement. 3. Do not write double answers (no if and but). 4. Hero should be progressive, optimistic and doing good for self and Society. 5. Not projected as down Or depressed. 6. He Seeks the solution of problem and not the part of the problem. 7. Takes first step in right direction and right time. He is helpful and helps one and all in any condition. 8. Does not create panic or such situations. His actions and example are inspiration for others. 9. Takes responsibility himself and not passes to others. 10. He does not run around fruitlessly. 11. He does not blame organisation or system for the failures. 12. He does not join any anti social activity or group. 14. He Always shares the benefit of success and does not take credit alone. 15. He is not an award and reward seeker person. Reward comes to him as fruit of his work. 16. He accepts failure gracefully and learn from it. 1. He will never damage his any equipment and always have in working condition. 2. He will not damage himself worthlessly. 3. takes always his possession with him. 4. He will have responsibility of all his team. 1.What is Thematic Apperception Test (TAT) ? 2.What is Word Association Test (WAT ) ?